Well like the title says I'm back in the hospital because my COPD kicked up big time. Shortness of breath, ugly loud coughs and coughing up ugly phlegm. The mass in my lung is still there and I'm to see a cancer doc soon for palliative care options. Could be surgery or chemo or radiation. The surgery part I'm hoping is a last resort. I'll do the other nonsense and be a bald person, no problem. Then I can make other people jealous. I've had three breath therapies since I've been here. Got here around one this afternoon. Got a shot of steroids to open my lungs and some heavy duty antibiotics. And I got some perks to boot. I can use my laptop here, got cable TV and access to halfway decent channels. Stay tuned for further developments. What Jafo said! The food might also be good! And you're now on my list. Sorry to hear Ross, hope you have a speedy recovery. So Ross, what are you doing getting so sick? As far as I know, that wasn't on the agenda. I've recently had a couple of trips to the hospital myself. Luckily it was nothing too serious and I was able to come home. After several long stays in hospital over the years. I hate being at the hospital any longer than I have to be. Anyhow, me old mate, take care and get well soon. Get well quickly, Ross...a thought: Sometimes Oncologists and Pulmonologists participate in research studies and "head to head" drug studies (that way the drug is free). Maybe yours are into studies? Also, depending on tumor type and markers, maybe ask about immunotherapy with Keytruda. Thank you Doc. Your advice I consider invaluable . I'm having it set up so I can consult various specialists and that was a suggestion by the doctor handling my case. So far I have three doctors not counting the cancer specialist. Anyway, the resurgence of the pneumonia is what brought this on. The meds they have me on are azithromycin, ceftriaxone (i think that's how its spelled. The handwriting on the board is not that good) and solumedrol? BTW: Kinda hard to harass the nurses considering two of them are male. Lol. Ross, have fun with the nurses, who knows what kinda things they "get into"...lol. Hey man, get well, prayers going up! Thanks guys, you're all awesome! Saw another doc today. They're going to do another biopsy and one doc says its an adeno something, I forgot already, anyway. They want me to consider radiation therapy and immunotherapy. I'll know more next week sometime. They want me to consider radiation therapy and immunotherapy. Wishing you the best and hope you recover soon. Ross, have fun with the nurses, who knows what kinda things they "get into"
Or what they let you get in to, as I discovered back in the 70's when I was hospitalised for nigh on 3 years. Let's just say [without going into too much graphic detail] that I was invited to the nurses quarters on more than one occasion do a bit of canoodling and get my willy wet. BTW, male nurses weren't a thing back then, just female ones... just in case 'that' question came up. I was never invited to the nurses station but I did and have to watch myself. Funny, even as the ugly guy I am today, compared to yesterday. After a bad motorcycle accident a few years ago, I had a nurse who was interested in me. I coulden't even move for a week, take a shower, or even feed myself (barley anyway) but that didn't stop her. I however was married and not interested. Although, I will admit, I didn't dislike that she liked me. Kinda made my miserable stay out in the middle of nowhere for a week tolerable. Had a consult with two doctors today. One lung specialist and one heart specialist. Because my portable heart monitor showed a 7 second stoppage between the lower heart valve and the upper (not talking to each other for that period of time) it is recommended that I get a pacemaker, which I probably will. That will happen before I go for the biopsy. Most likely within the next two days. @DRJBHL...would very much like your opinion on both. You're the man when it comes to this stuff and I trust your opinion. So weigh in when you can. Again...thanks guys for your support. God bless you. I've had a pacemaker for a year and a half now. Mine was needed for bradycardia (slow heart beat). The model I have will last 8 to 10 years, and is being monitored every six months. It adds some hassles going through airport security, but is otherwise not too bad. I do have to take medication once a day to suppress the irregular beats and let the pacemaker do its thing. Mine will operate, according to the doc, approximately 5% of the time to regulate a slow heart rate. It seems to be random and hasn't happened for some time. I'm told the pacemaker is more of a precaution than anything else. At the very least it will be a unique experience.
" 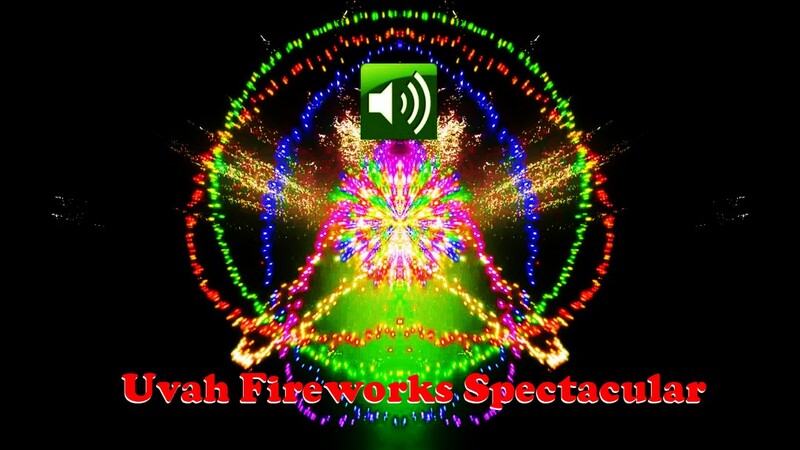 Uvah Fireworks Spectacular "